This spacious 1-bedroom apartment is ideal for young couples. 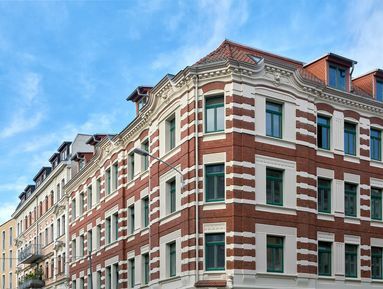 Situated on the ground floor, the bedroom and living room face south onto Erich-Zeigner-Allee, and are both good-sized rooms. The kitchen opens onto a small, pretty balcony, looking out into the peaceful, newly-redesigned courtyard. There is also a lot of space through the hallway and bathroom too, with plenty of room for storage.